Organic wine continues to increase, it seems. Commercial success is well established in several countries already. We recently wrote about sales in France that have increased by 17% per year since 2012 and the forecast is that it will continue. Therefore we see more and more articles and blog posts about organic wine, sometimes good and interesting but surprisingly often frighteningly wrong. The subject deserves a more comprehensive text in BKWine Magazine than this introduction to explain what organic is, what biodynamic is and perhaps also this strange concept “natural” (“uncontrolled” might perhaps a better word). Not to mention “sustainable”. We’re working on that. But in the meantime, here are some truths and myths about organic (and the others). MYTH 1: It is difficult to keep track of all the different national certifications of organic wine in the EU. It varies from country to country. TRUTH 1: All organic wine within the EU follows exactly the same rules. The rules are set by the EU and apply identically to all countries. It is identified by the EU leaf on the label. With the leave = organic. MYTH 2: There are so many different organic certification organizations that it is difficult to keep track of them and difficult to know what they stand for. TRUTH 2: Yes, there are many certification organizations, but it is basically irrelevant. Everyone works with the same (EU) rules. The only thing that is important is the EU leaf. It is mandatory if you want to show that you are organic. You do not have to worry about Ecocert, Qualité France, AB, and other organizations that you might see on the label. However, one can be organically certified and choose not to put organic stamp on the label. MYTH 3: I will spare you this since it is a local Swedish myth about a local certification. MYTH 4: But in other countries, outside the EU, e.g. Argentina, New Zealand, USA, etc., they have other rules, other eco-certifications, so then you have to check out the certification and what rules apply in that country. TRUTH 4: If the wine is sold within the EU as organic it must comply with EU rules. In other words, it is exactly the same requirements for them. And they also have to have the EU leaf if they want to show that it is organic (as far as I understand the labelling rules). Are you beginning to recognize the pattern? It is actually not at all complicated with the rules and certifications. They are identical for all organic wine (within the EU, and most other countries use the same rules). The labels/certifications do not mean different things. The EU leaf is what you should look for. A leaf = organic. No leaf = not organic. MYTH 5: It costs a lot to be certified organic, so many producers choose not to. TRUTH 5: No, it doesn’t cost much, maybe a few hundred (euro) or slightly more. Not much. MYTH 6: Some producers are organic in practice, but not certified, and use synthetic sprays (not organic) only in case of emergency. TRUTH 6: Then they are not organic. To be organic you have to be certified (much like that if the wine is called Champagne, it must come from Champagne, not just be a bit like champagne). And one must never use pesticides other than organically approved. Never. MYTH 7: In organic wine growing, they use no poisons. Organics mean no spraying in the vineyard. No pesticides or fungicides. TRUTH 7: Pesticides / fungicides are also used in organic viticulture. If you did not spray at all, diseases would often ruin most of the grapes. However, the organic growers can only spray with organically approved pesticides (and fungicides), mainly sulphur and copper. They must not use chemical synthetic or systemic products. MYTH 8: There is a difference between organic, ecologic and biologic. TRUTH 8: No, it’s the same. Organic is the English word, “ecologic” is used in some languages, and “biologic” is French-Italian-Spanish. Same thing, different languages. MYTH 9: Organic and biodynamic more or less the same thing, and “natural” is one more step “cleaner”. TRUTH 9: No, it is three different things. Organic is legally strictly regulated and certified within the EU. With official rules. Biodynamic is like a sub-category of organic, slightly stricter rules, with private certifications and mostly strictly controlled (mainly Demeter and Biodyvin). “Natural” has no generally accepted rules and has no controls and no certifications. This turned into a long text, so we’ll continue another time. If you want to know more about this, you can read our book on organic wines: Biodynamic, Organic, and Natural Winemaking. A book that really explains what all this is. If you have any comments about this – or questions – do write us an email. Have a look at the current wine tours program and book your tour now for a lovely wine adventure: Bordeaux, Champagne, Chile-Argentina, New Zealand, South Africa…! You can hardly find a better wine tour operator than BKWine (if you do, we would like to know! So we can get better). We know a lot about wine, with, for example, ten published and award-winning wine books, and have more experience in arranging wine tours with several hundred wine tours done over the years. And also, we are independent so we can choose the visits and travel routes that give you the best experiences. We do not plan our visits because we want to sell certain producers’ wines to you, but because the ones we go to are the best and most interesting wine visits. Finally: February 26 is in our calendar! We will be in Stockholm and launch our new book, Languedoc-Roussillon, the wines from the French South! Unfortunately only in Swedish at the moment. Number ten. Who would have thought? It just happened! Cognac has a new category: XXO. In 2017 Hennessy launched a prestigious Cognac which they named XXO. But the authorities were not happy about it as this category of Cognac didn’t exist. Thus, the sale of this particular Cognac was suspended. But Hennessy did not give up and with the help of luxury conglomerate LVMH, which owns Hennessy, the house managed to get the category XXO included in the official regulations of AOP Cognac. XXO stands for Extra Extra Old and the rules say that the Cognac must be aged in barrels for at least 14 years. The designation is so far only used by Hennessy but it is of course possible for anyone in Cognac to use it. So now the Cognac appellation has the following five categories: VS (Very Special) is aged in barrels for at least 2 years, VSOP (Very Special Old Pale) for at least four years, Napoleon/Très Vieux for at least six years, XO/Hors d’Age for at least 10 years and XXO, for at least 14 years. Read more cognac. For 100 years, the magazine Wines and Vines (formerly called California Grape Grower) has written about Californian wine news. To launch a wine magazine in the United States in 1919, just a few months before the prohibition started in January 1920, may not seem as the smartest of ideas. On the other hand, nobody thought then that the prohibition would last for thirteen years. The first issue encouraged the wine growers not to tear down their vines and suggested alternative uses for the 400,000 tons of grapes produced annually in California. During the years up to 1933, the newspaper gave advice to frustrated wine growers on grape cultivation and how to make grape juice, grape jelly and grape jam. In December 1933 prohibition was finally over and wine producers such as L.M. Martini, Wente, Korbel, Beaulieu, Beringer and Inglenook could continue to develop the Californian wine industry. Read the fascinating story, 100 years of California wines here: winesandvines. VDP stands for Verband Deutscher Prädikatsweinguter and is a highly respected association of around 200 German top producers with their own set of rules for wine growing and wine making. VDP recently launched a new category of German high-quality Sekt. This new category, VDP Sekt, can, like the still VDP wines, be made in four levels: VDP Gutssekt, VDP Ortssekt, VDP Erste Lage and VDP Grosse Lage. The rules are inspired by what applies in Champagne. A second fermentation in the bottle is mandatory. Gutssekt and Ortssekt must be aged at least 15 months on the lees and Erste and Grosse Lage for at least 36 months. The harvest must be by hand and the grapes must come from vineyards that are specifically cultivated for Sekt. As always, VDP has a great focus on the terroir. The interest in German Sekt has risen in recent years, but many consumers associate it, often rightly, with low quality. VDP wants to show another side of German Sekt. Read more: vdp. For the lover of statistics and/or the lover of Burgundy wines, we have found a handy and updated summary of all relevant figures concerning the wines of Burgundy, from Chablis to Mâconnais (Beaujolais not included). Burgundy has 84 appellations, which is 23% of all France’s wine appellations. Grapes are grown on almost 30,000 hectares. 50% is Chardonnay, 41% is Pinot Noir, 6% Aligoté and 3% Gamay, Sauvignon Blanc and some others. Half of the production is exported. The United States takes 20% and is thus the largest market outside of France, after the UK, Japan, Belgium and Canada. Export revenues are disproportionately large for such a small region. Burgundy accounts for 20% of France’s total export revenue for still wines. But has only 8.6% of the production. But then many Burgundy wines cost quite a bit of money. Find more interesting figures about Burgundy here: bourgogne-wines. Read more: If you want to know more about this kind of wine you can read our book Biodynamic, Organic, and Natural Winemaking. The artists were given more or a less free rein to paint vineyards, wine glasses, harvests, Bacchus and more, with sometimes the wine producer’s logo woven into the painting. The wine producers involved include well-known names such as Casas del Bosque, Santa Carolina, Veramonte, Montes, Torres and San Pedro. The idea behind the project is among other things to promote Chile’s vineyards and, not least, the two regions located just next to Valparaiso, Casablanca and San Antonio. See pictures and read more here: decanter..
Distell is South Africa’s largest wine producer. With brands such as Alto, Nederburg, Durbanville Hills, Plaisir de Merle, Pongrácz, Fleur du Cap, Allesverloren, Zonnebloem, Two Oceans, Drostdy-Hof and others, the company accounts for a not insignificant part of the entire South African wine production. Now all the premium wines of Distell will be managed separately. Recently, Distell launched a new company, Libertas Vineyards and Estates and this company will take care of premium brands such as Nederburg, Durbanville Hills, Plaisir de Merle, Pongrácz and Allesverloren. The aim is to develop the market for premium wines and also to give more thorough attention to these wines, which represent an important part of Distell’s portfolio. The flagship Nederburg has had great success in recent years and in 2017 it was nominated Winery of the Year by the respected South African wine guide Platter’s. 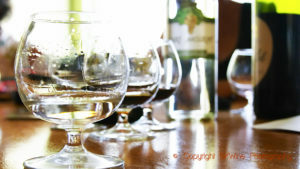 Read more about Distell’s plans here: drinksint. Travel more: Curious to discover more of South Africa? Our next wine tour to South Africa will be in mid-February 2020. Leaving behind a troubled 2018, both in vinous terms, with difficult weather, and for the world as a whole, it is time to think about 2019. What wines should you consider if you, or someone you know, have a 9 celebration next year? There are plenty of options for those who want to open a very special bottle this year. Many vintages ending in 9 have been excellent. BKWine Magazine’s guest writer Stuart George explores the options and tells the tale of some exceptional wines he has tasted: Nine network, wines on a niner. We will of course have a wine tour to Champagne this fall. If you are a champagne enthusiast then you want to go there sooner or later. There are many ways to do that. Travel on your own. Go with some tour operator, BKWine or someone else. And other options. Everything will be different, you will get different experiences. If you go and plan on your own, then you are “freer”, but on the other hand it is then impossible to get inside and get to meet people in the way that BKWine can. Different tour operators have different talents and specializations. Many, for example, only focus on the big-and-famous volume producers. We are very confident that you will get a unique and unforgettable tour to Champagne if you travel with us. On BKWine’s Wine Tour Blog we explain how and why travel to Champagne with us is different: A wine tour to Champagne like no other! Only a tiny fraction of the world’s wine producers are “biodynamic”. It’s an odd concept. Sometimes it is thought of as being a mystic sect, sometimes people believe it is just another word for “organic”. Neither is true. Most importantly, it is a group of producers that include some top quality wineries making very exciting wines. We recently had an opportunity to taste a wide selection of wines from Biodyvin and here are some of our favourite producers. The French Biodyvin, whose full name is Syndicat International des Vignerons en Culture Bio-Dynamique, has made itself a name as an association for high-quality biodynamic producers. Read more on Britt’s article on BKWine Magazine, originally published on Forbes: Favourite Biodynamic Wine Producers Certified by Biodyvin | Britt on Forbes. Everyone knows Greece and its picturesque beaches. But what do you know about Greek wines? Sun, sea and sand in Greece is not bad, but it is even better if you get some good wines with it. One great destination is the islands in the Ionian Sea. There you can find some unusual wines, made from local grape varieties that match perfectly the Greek food. In fact, wine was so important to Ancient Greeks that they worshipped it in the form of a God – Dionysus. According to the myth, the king Οeneus once hosted Dionysus. BKWine Magazine’s contributor Marina Mirzabekian takes you on a Greek adventure: A wine adventure on the Greek islands in the Ionian Sea. This month: We have had many interesting wines in recent weeks. Some of them quite old. It is always a special moment when you choose a 40-year-old Bordeaux from the cellar and it feels vibrant and alive. This month also well matured Champagne, a Super Tuscan, some red wines from the northern Rhone, all of them memorable. And some fresh whites from northern Spain, one of which is very unusual. Read more on BKWine Magazine: Uncorked: Good wines we have tasted recently, January 2019. Champagne is a success story and the region has a long and exciting history. Much has happened since the first bubbles were discovered! The technology has been refined, rules have been written and now Champagne is one of the most controlled wine regions in the world. And one of the most sought-after wines. Throughout the 20th century more and more vines were planted in Champagne, but now there is no longer room for more plantings. The entire Champagne appellation is now covered with vines. In total, there are 34,000 hectares here and on our tour in September we will see, if not all, then at least quite a few of these vineyards. And taste many of the wines. Our tour of just over two weeks will take us from Auckland on the North Island down to Queensland on the South Island. We go by bus all the way, a great opportunity to see and enjoy as much as possible of nature. We will visit around 20 wine estates but we will also have time for sightseeing. There will be geysers, kiwi birds, glaciers, picturesque villages, Maori culture and more. We go to New Zealand in March and November 2019. The Mars trip is fully booked. In November, summer is approaching. Copper sulphate being a case in point.